Just as I mentioned in my Crash Bandicoot N. Sane Trilogy review, this console generation has been seen countless remasters, remakes and re-releases of older games. And while Crash Bandicoot remaster was great, but when Activision announced Spyro Reignited Trilogy, it immediately piqued my interest. The Spyro Reignited Trilogy is a complete remaster of the first three Spyro games which includes: Spyro the Dragon, Spyro 2: Ripto’s Rage and Spyro: Year of the Dragon. Gameplay is similar to Crash with it being a platformer but it has a lot more depth to it. The first Spyro game is fairly simplistic in its level design with a hub world with a few small levels that you travel to, in order to free a specific number of dragons. 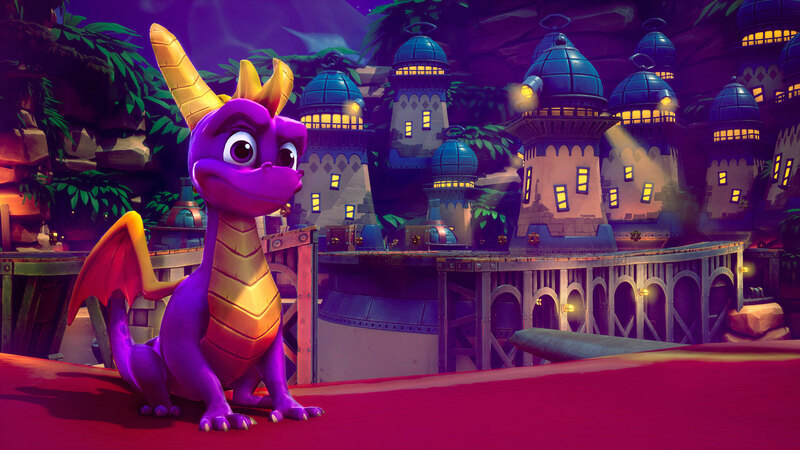 The first Spyro game can be completed in a couple of hours while Spyro 2 and Spyro: Year of the Dragon will take longer to complete. But as you venture into later Spyro games, the levels get a bit more complex and as there are more enemies and new gameplay mechanics. All the Spyro games are a lot of fun to play and much easier than some levels in Crash. 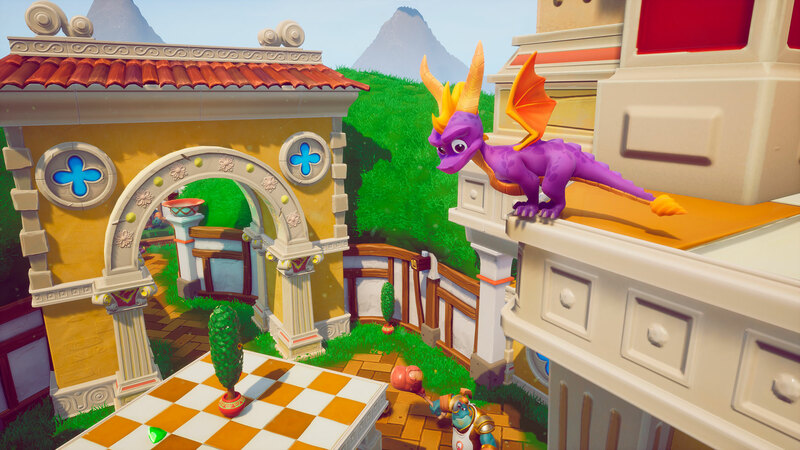 Everything in the Spyro Reignited Trilogy has been built from the ground up. 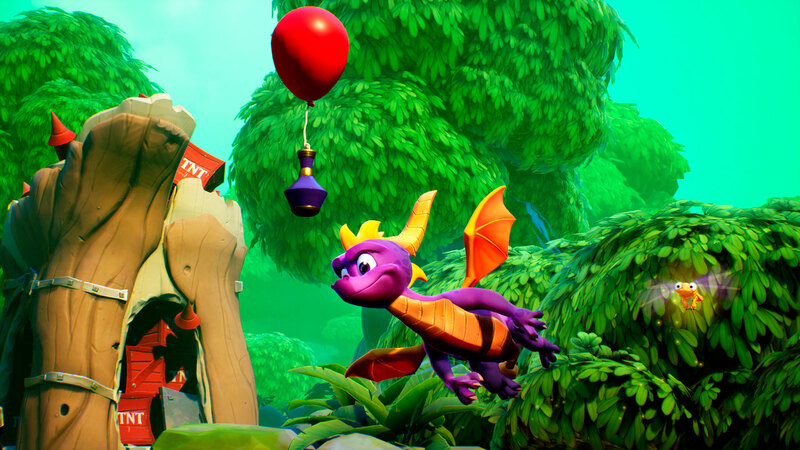 Developer Toys for Bob beautifully remastered all three Spyro games using the Unreal Engine 4. If you played any of the Spyro games on the PlayStation One or PlayStation 2, you’ll notice the games looked good at the time. But with this remaster, all three games look even better, you can really see the details and colours in all the characters, the blades of grass and more. Each look like a game that came from this generation. Unlike the Crash Bandicoot N. Sane Trilogy, the Spyro Reignited Trilogy isn’t Xbox One X enhanced and playable in 4K Ultra HD and HDR. Activision runs at 1440p and locked at 30fps. It’s possible that the game could get an Xbox One X enhanced patch to enable 4K and HDR but Activision hasn’t announced anything. Overall, the Spyro Reignited Trilogy is a great remaster, it breathes new life into Spyro and to the series, which previously had been focused on it’s Skylanders toys to life series. Spyro Reignited Trilogy is great for fans of Spyro and for newcomers to the character. Spyro Reignited Trilogy is available now for Xbox One and PS4 for $54.99 CAD ($39.99 USD). 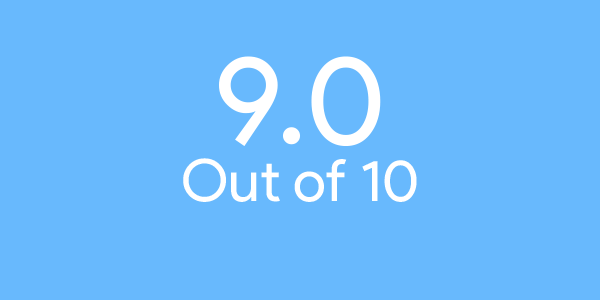 I conducted this review using an Xbox One review code provided by Activision.